Gondo is a small town located on the border between Italy and Switzerland along the Sempione road connecting Milan with Brig. The history of the area is tied to gold. The first records of gold mining go back to Roman times, but the gold rush proper began in 1600 with the arrival of Baron Stockalper. Stockalper mined more than 20 gold seams in a series of mines. In those days mines were worked manually with just hammers and nails. When Baron Stockalper died the mines were abandoned for over a century until they were eventually acquired by a Parisian mining company called Société anonyme des Mines d’or. This company modernised the extraction system and after only a few years increased its workforce from 100 to 500 miners. The daily output reached as much as 40 grammes per day and between 1892 and 1897 they extracted a total of 33 kilos of gold. Part of this production was used to mint 29 GondoGoldvreneli (which are highly prized nowadays: in 2009 one coin was sold for about 60,000 euros). After 1897 the extraction process became unsustainable and the mines were closed. But about 12 months ago another “gold rush” started. However, this time it was a rather different kind of gold: crypto currencies (bitcoins, ethereum, monero).The company that opened this new “mine” was founded by a group of young locals (about 10 people in all). In this “mine” they extract crypto currencies on behalf of the company itself, as well as for independent clients. 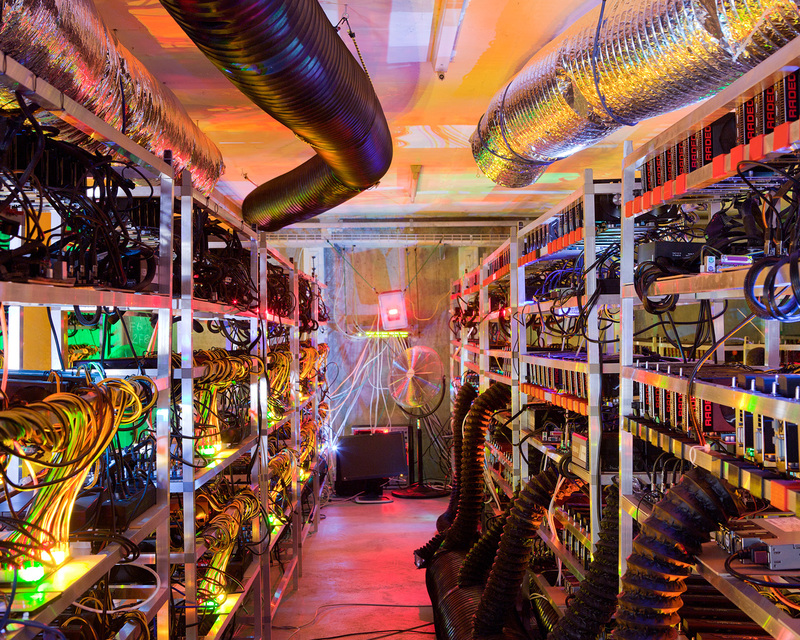 The extraction work takes place using video cards (GPU) that make mathematical calculations which, under certain conditions, allow them to find crypto currencies. There are 100 machines operating in the mine.